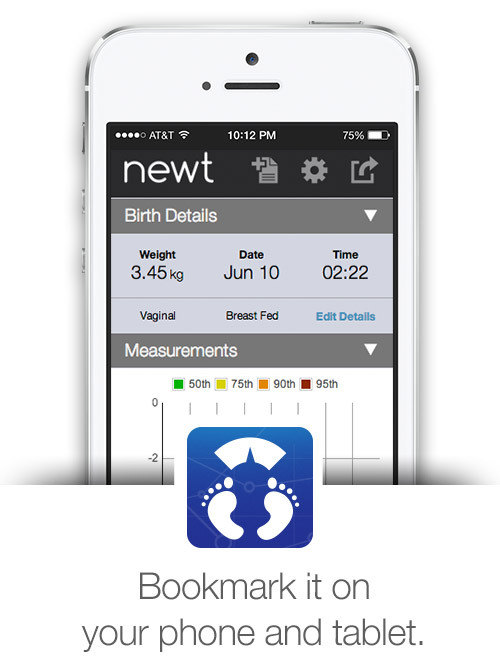 The publicly available and free to use website, www.newbornweight.org, which houses the Newborn Weight Tool (NEWT), can now be linked to electronic medical records. 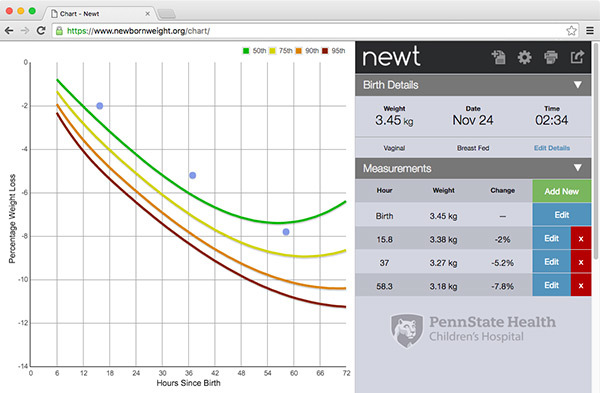 NEWT is the first tool created that allows pediatric healthcare providers and parents to see how a newborn’s weight during the first days following childbirth compares with a large sample of newborns. Using a research sample of birth weights from more than 100,000 breastfed newborns, the tool uses a nomogram to plot a baby’s weight percentile at any given time in the first few days following birth compared with the research population. The results can be used for early identification of neonates on a trajectory for greater weight loss and related complications. Please follow our instructions (PDF) for linking to NEWT from within an EMR system.